Jamie Vermiglio could very well be a victim of his own success. 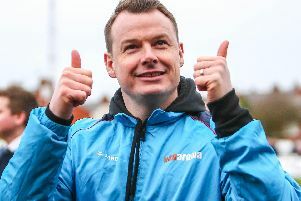 The new Chorley manager has enjoyed a dream start to his reign at Victory Park. The Magpies have soared to the top of the National League North after winning nine and drawing one of their opening 10 league games. Their incredible run of wins – which has only been punctuated by a 2-2 draw at Brackley Town earlier this month – means the team has opened up a nine-point lead at the top of the table. Even though the season has not yet reached its third month, Chorley fans are already getting giddy at the thought of winning the league title – and promotion to the top tier of n0n-league football. Vermiglio, who was previous boss Matt Jansen’s assistant before taking over the managerial reins after the former Blackburn striker stood down in the summer, is at pains to downplay his team’s fast start – knowing that a lot can change over the ensuing months. However, should the Magpies maintain their form, there is every chance they will be playing in the National League next season. Should that happen, there is a possibility that the club may look to put plans in place to go fully professional – if not immediately – but in the near future. 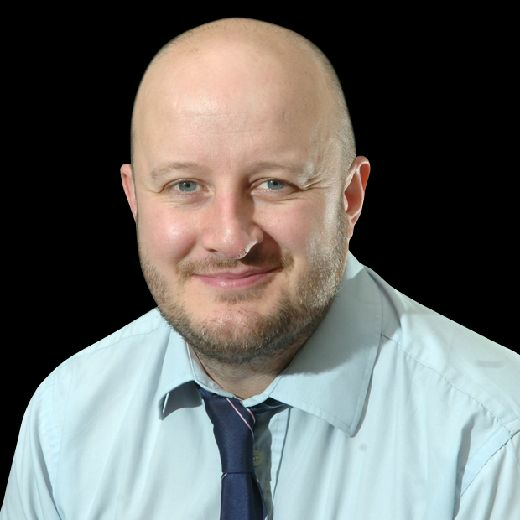 As a headteacher at Locking Stumps Community Primary School, in Birchwood, near Warrington, the idea of turning his back on his teaching career and going full-time is not something Vermiglio is likely to entertain. So it could be that he may have to stand down should he guide the club to higher ground. “That’s the club’s ambition,” said Vermiglio, who served the Magpies as a midfielder for many years. “They want to go full time, but I know that I won’t be in a position to do that. “We are certainly not getting carried away with our position, but inevitably there is always going to be some discussion about the club going forward and my role. “I suppose we will just cross that bridge when we come to it. “At this moment in time, I have got no desire personally to go into full-time football management. “My priority is my teaching career. “Obviously the club has its ambitions with or without me and I fully support that. There are other people now around the club who are in a strong position to be able to help the club. “If the club is in a position to go full time with me in a part-time position then that is something we could look at. “But what we are talking about is not next season or the season after, we are probably three or four years down the line if we were get into the next league and sustain what we have done. Being Chorley manager and keeping the 1,000-plus faithful happy each week is a demanding job in itself. So how doesVermiglio cope combining the role alongside the high-pressure occupation of a headteacher. “I have a lot of good people around me at school,” Vermiglio said. “For instance, I am currently travelling to a meeting with my deputy head, who is really good. “She takes on a lot of work. To be honest she would anyway even if I wasn’t the manager of Chorley. Vermiglio joked that he is having a hard time concentrating at work as he is often drawn to looking at the current National League North table. It is certainly happy viewing for anybody of a Magpies persuasion, but Vermiglio has warned his players and the fans to guard against complacency. “I look at the table about 100 times a day now, ” he said. “We are in a good position but it is all the same cliches about keeping our feet on the ground and all that. “We’re really not getting too carried away, although we are enjoying the victories as they come along. “We are celebrating every goal like it is our last, but we know we are only a quarter of the way through the season. “You always look at the league table after 10 games and we are in a great position. While Vermiglio is rightly taking the plaudits for Chorley’s terrific start, he is keen to deflect some of the praise. “It’s been a great start for me, but it’s been a great start for everybody,” he said. “My assistants Andy Preece and Jonathan Smith have stepped. After beating Leek Town last weekend in the FA Cup, Chorley have been paired with Peterborough Sports in the third qualifying round and Vermiglio is hopeful of another run to the first round proper. He said: “We want to win promotion – that’s the main aim – but winning breeds confidence whatever game it is and whatever the competition is.